In addition, one of the prominent features of Portainer is “Application Templates.” Portainer enables deploying containers from curated template lists like a MySQL database or WordPress instance with one click. Let’s start with deploying Portainer and checking all of its main features. Open http://localhost:9000 in your favorite browser and set your password, then you are ready to go! If you need more complicated deployment scenarios such as Portainer with data persistence, TLS authentication enabled or non-Docker setup or reverse proxy integrations please check installation documentation. 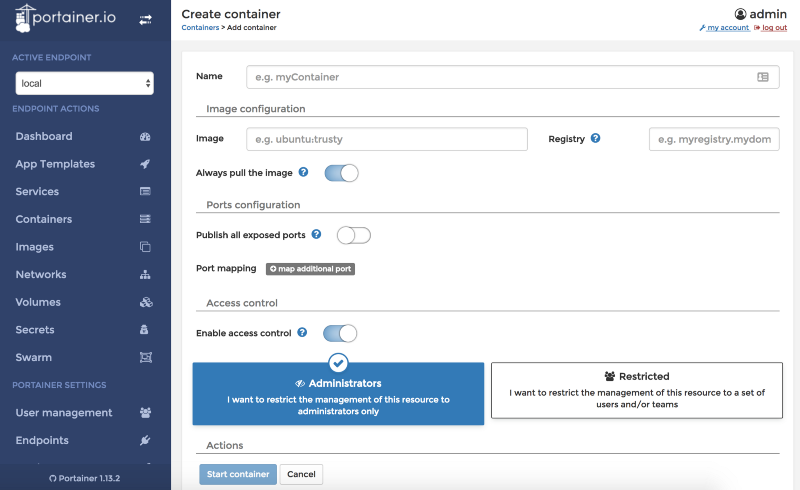 The Containers section provides a view of all containers with states, images, and exposed port details. In addition, you can create new containers and take actions such as start, pause, or remove. 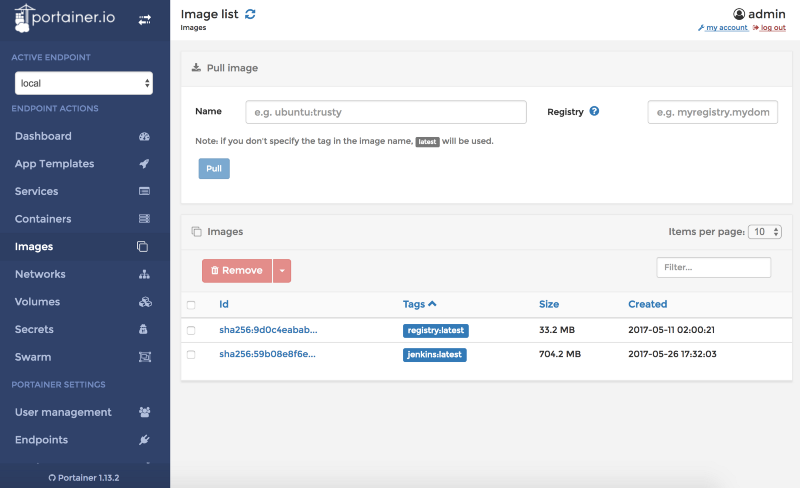 The Images section provides a view of all available images with the feature to pull Docker hub or a private registry. 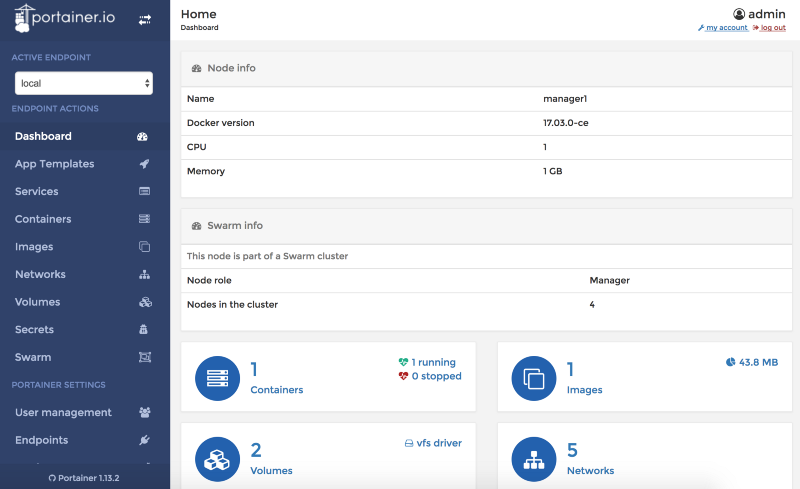 When using Portainer with Docker Swarm or Swarm Mode, the Swarm section provides details for each node in your cluster. For Swarm mode, you can manage your services and easily scale them using the services section. 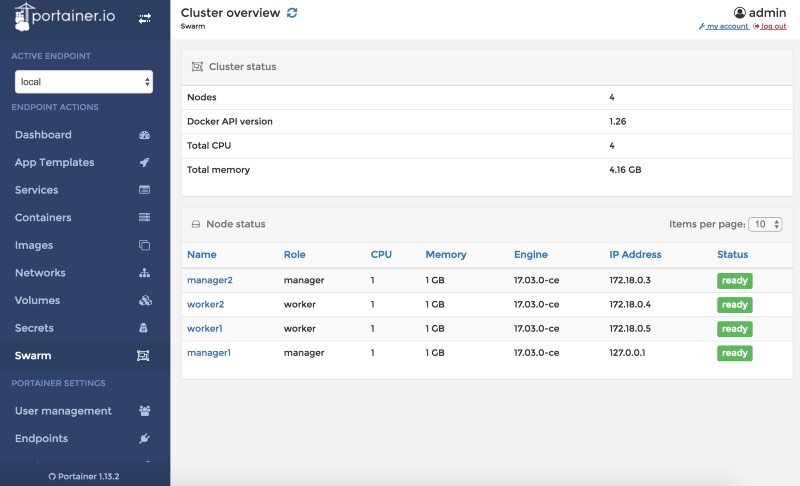 Portainer is not the only solution that provides a Docker management user interface. There are other popular solutions with different focuses such as Shipyard, Panamax, and Kitematic. Shipyard provides the same functionality with its user interface but deployment is more complex requiring multiple containers. 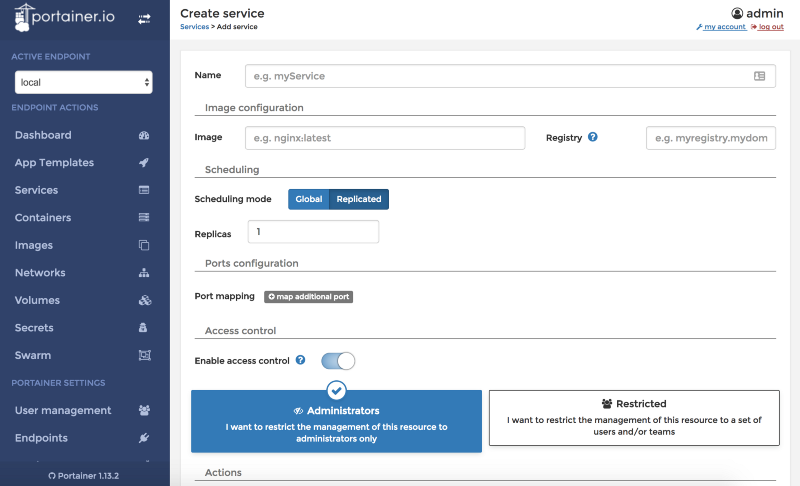 Panamax provides a more advanced user experience in accordance with its subtitle “Docker Management for Humans.” However, it’s installed on the host system directly and still is in beta. 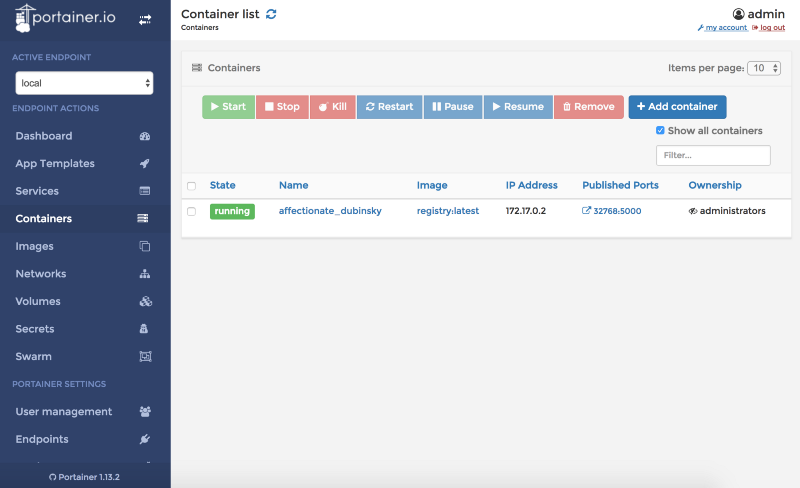 Kitematic is part of the Docker Toolbox and provides a simple and powerful graphical user interface with its seamless integration to the Docker command-line interface. It offers all the functionalities provided by the Docker API inside a native Mac or Windows application. 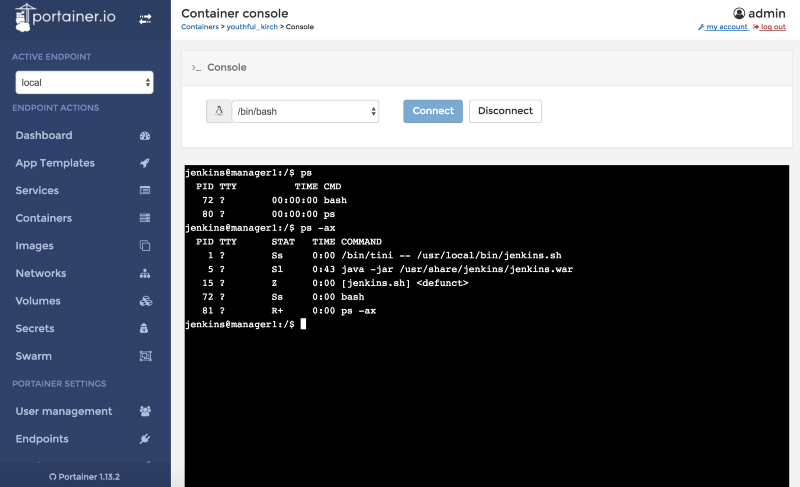 Portainer is a management tool for Docker with an easy-to-use UI and is designed to run everywhere Docker runs. 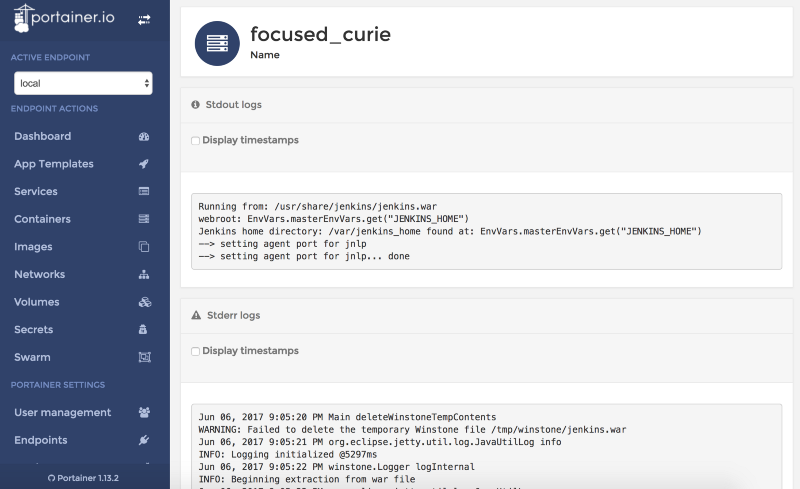 With the aim of supporting the complete Docker API, it is a promising tool for any developer or DevOps to have it in their toolbox. However, there are very strong rivals in the market from both the open source community and Docker itself.